Email support@icsource.com or call us at 518.885.8880. IC Source is the world's leading database for electronic components including semiconductors, passives, interconnect, electro-mechanical, integrated circuits, diodes, transistors and more. 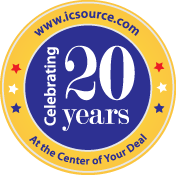 Since forming in 1996, IC Source's reputation for reliability and quality service have kept us at the forefront of data providers in the electronic components industry. We provide the tools and features our members need to do business more efficiently and successfully. At IC Source, we develop innovative online solutions to run your business more efficiently. In addition to our powerful software, we utilize state-of-the-art hardware in a world class datacenter to ensure the highest levels of performance and security. Our location in the Tech Valley region of New York State gives us access to the resources necessary to stay at the forefront of technological innovation and best serve our customers. Never content to rest on our laurels, IC Source's development and design team continues to create new features while improving existing functionality. It's what we have done for the last 20 years. We understand industries change as do your needs, and we welcome your suggestions and ideas to keep IC Source at the forefront of the industry. 20 years of development has produced a robust and vast web application. With focused requests and streamlined results, our stored procedures are optimized to the specific needs of each page, making querying fast and reliable. Standard hard drives can perform up to 250 Input/Output Operations Per Second, and solid state drives can perform 100,000. Our Database resides on a Texas Memory Systems RAM drive capable of 600,000 IOPS, allowing the fastest data access in the industry. The software behind IC Source has been optimized over two decades of use, by thousands of companies worldwide. With state-of-the-art hardware in a world-class datacenter, we are able to provide the highest levels of performance and security for our Members. Create and join discussion topics about industry news and the issues that matter most to your business through our popular Forum. The Comments System on IC Source provides feedback about Members by Members so you can make informed decisions about future transactions. Comprehensive information about each Member is easily accessible throughout IC Source. By Preferring or Excluding Members, Countries and Regions you can streamline our website to your company's needs. We provide a number of powerful tools designed to facilitate the process of buying and selling goods on IC Source. With Inventory Matches, WantToSells, WantToBuys, RFQs and much more we keep you notified when activity happens on IC Source. User preferences, permissions and reporting are easily accessible to ensure you can manage your staff effectively on IC Source. Our search results are highly-configurable to best fit your needs. 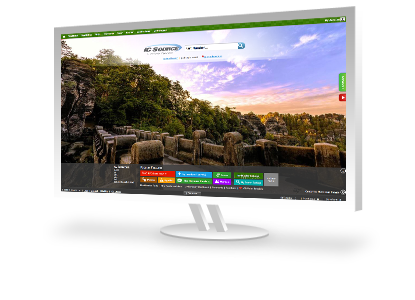 Customize the look and feel of the ICSource website, as well as the language displayed. Plug-in to the power of our database and generate RFQs online. The ICS Storefront is completely customizable and integrates easily into your website. Generate more business through your website. We provide the data and tools to boost Search Engine Positioning and improve your online presence. Broker safe, secure deals with our trustworthy escrow service. ICS Escrow is easy to implement and provides security to ensure a fair transaction. Promote your business with our professional design services. We offer print, web and logo design solutions that fit your needs. Please contact us with any questions, comments or suggestions and a member of our staff will respond promptly.